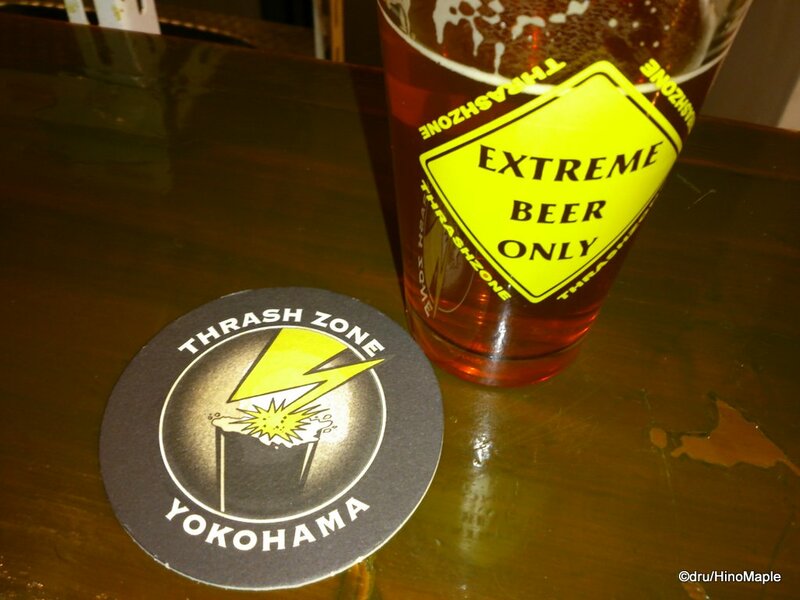 Thrash Zone is a nano brewery located in Yokohama. 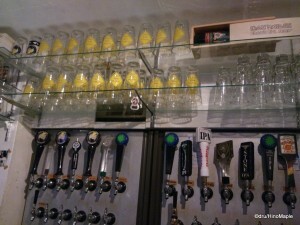 They are a very special nano brewery that thrives on its own image. They are a “thrash rock” inspired brewpub that only brews in small batches in their own lab down the street from their pub. Getting to the pub can be a little difficult at first but once you find this really cool hole in the wall, you are amazed that they are still in business and at the same time you hope they don’t go out of business. They have a very limited food menu that is easily made up for with their beer menu. If you are a beer enthusiast, you won’t be disappointed with the beers at Thrash Zone but there is a lot they could do to improve the number of patrons to their shop, but at the same time they would be going against their own image. Thrash Zone is located less than 5 minutes north of Yokohama Station. The walk from the station to Thrash Zone is a little difficult at first but after you find Thrash Zone, you realize how easy it really is to find the bar. Thrash Zone is located at the edge of a strange area. I arrived pretty early and wandered around looking for the shop. It is impossible to find the bar before they open as the shutters are closed and there are no signs whatsoever. I ended up walking a block west and being in a love hotel area. I returned to the area and after checking the address and the mailboxes, I realized that I was there too early. 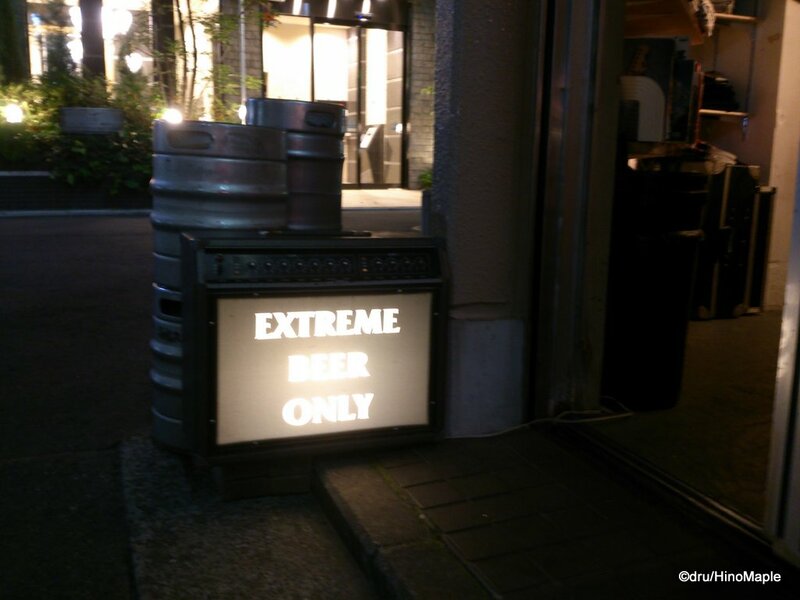 In order to open the shop, they open a single shutter at the door; put an amp that says “Extreme Beer Only”; and hang the main sign next to the door. Once you see all of that, the shop is open. 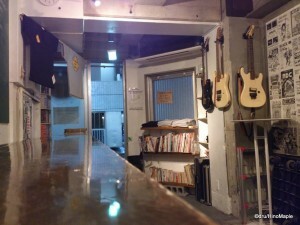 The shop is decked out in a punk rock theme with amps and guitars decorating the walls. 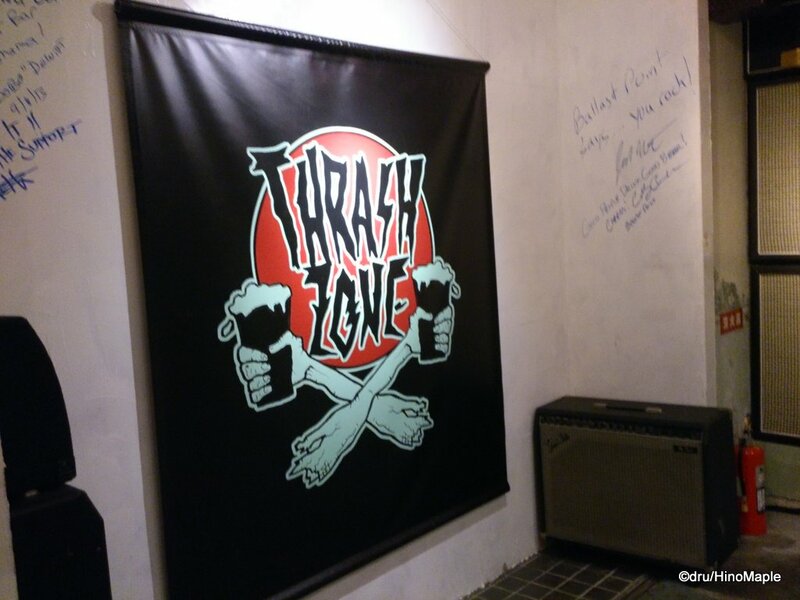 They even have a “Thrash Zone” flag and various punk rock flyers on the wall. The bar itself is just a single long counter with nice seats. The setup is pretty efficient for the small space and from the second you step inside the bar, the aromas of hops fill your nose. The only food item available, or at least from what I could tell, was the French Fries. I didn’t bother trying them as I went for the beer instead. I ordered the Hop Decide for a starter. It was a very hoppy beer to the point that it was almost overpowering. Thrash Zone prides itself for having “extreme beer” and when they say extreme beer, they aren’t joking. They also had the Morbid Red and Hop Slave on tap as well and while they were good, they were fairly typical good craft brews. It wasn’t as interesting as I would have liked, but they were very good nonetheless. I also got Hida Takayama’s Kurumina 2013. It was the most fascinating beer I had ever had with such complexity in its flavours. I was in love at first sip and would love to have a little more in the future. It is unlikely that I will be having it again as it was the most expensive beer they had. I had never found it before in Tokyo or Yokohama and I doubt I’ll find it again unless I go back to Thrash Zone. I may go back but there were a few problems that they may want to work on to entice me to return often. Thrash Zone’s biggest problem is their service. The bartender appeared to be a foreigner with a very unhappy demeanor. The beer was great but to have such a grumpy looking man behind the bar was not very encouraging. If they put a happier or friendlier person behind the bar, I’m sure they could get more people to come into the bar. I saw a lot of single people come into the bar and leave after just 1 pint. There were a couple regulars who were able to get beers and food without really ordering and they seemed pretty happy. The other problem is that the entire setup is geared towards men. I would assume women wouldn’t even consider walking into the shop as it isn’t inviting enough and the beer doesn’t cater to stereotypical women’s tastes. I do realize that women can enjoy very bitter beers, but as the stereotype goes, they probably won’t, and I also assume a lot of young Japanese guys wouldn’t like it either. If they tried other beers rather than ales, they could potentially increase their patrons. I also found the fact that they only had 3 of their own beers on tap and still advertised the other 2, albeit crossed out, was a little annoying. 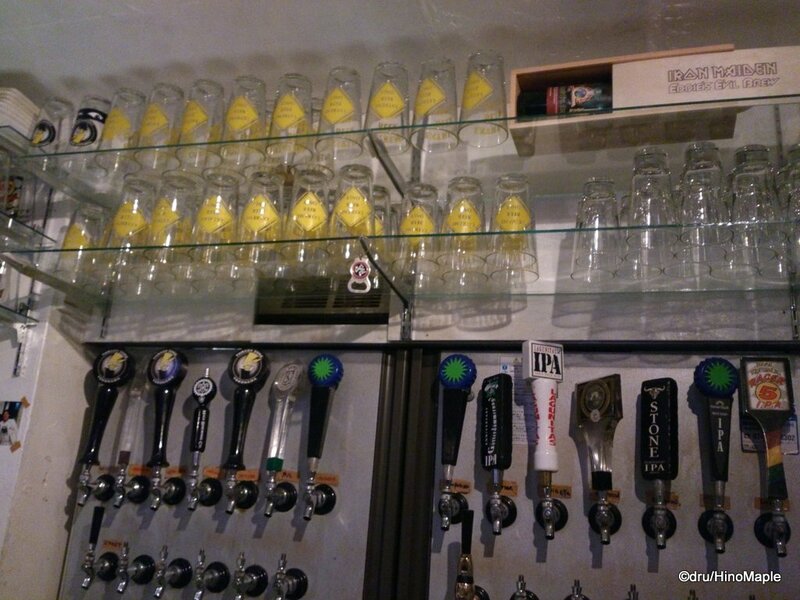 It made me wonder if the other beers were ever on tap or if they would be on tap in the future. Highlighting seasonal beers or informing patrons as to when specific beers will be on tap is pretty important to keep clients coming. While not having all of their beers on tap is not very important problem, Thrash Zone does what they do best, catering to their niche. Their website is very adamant that they want to make high quality extreme beer and I understand their philosophy. Like any punk rocker, you don’t want to sell out and make mainstream music. Thrash Zone works this mentality perfectly, but it is at the expense of expanding their market and getting more profits. I would have expanded the beer list to include other types of beers but they shouldn’t listen to me. They have their niche and as long as they are happy, they should keep at it. Thankfully, they also keep to their “independent” roots by keeping their beers reasonably priced Their own beers are all less than 1000 yen a pint and the Kurumina was 1000 yen for a glass. It was the most expensive beer they had on tap and I can see why. They do sell their beers at discounts if you buy a T-shirt and the idea to try new good beers can bring people there. I hope they will continue as they make a good product and I do wish them the best of luck to stay true to their image. 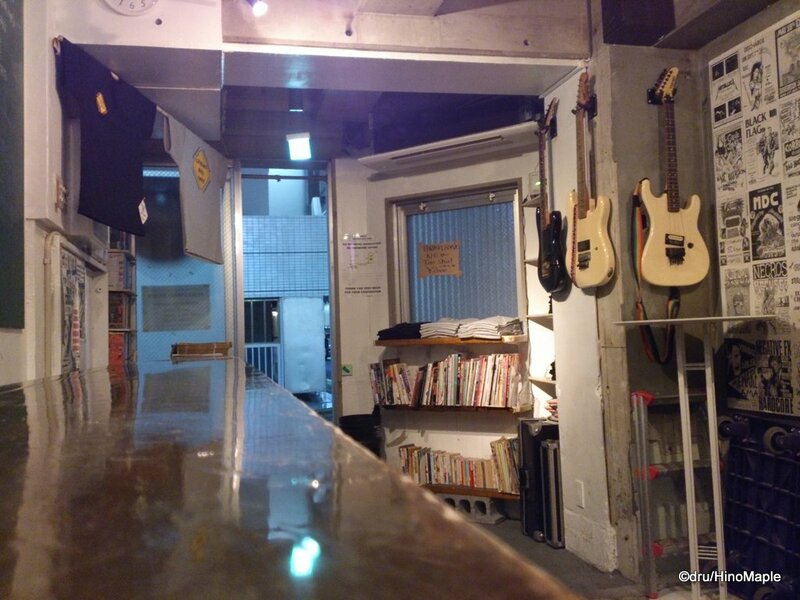 This entry was posted in Kanto Food and tagged Bar, beer, craft beer, Hida Takayama, Hide Takayama, hop, independant beer, japan, Local Beer, nano brewery, pub, punk, Punk Rock, Thrash, Thrash Zone, Yokohama by Dru. Bookmark the permalink.